The first incident took place on Saturday, March 16 when a man approached two girls near the Budgen’s store in Hinchley Wood, exposing himself. He then drove off in a white van with blue writing on the side. He has been described as white, with a tanned complexion, aged in his 20s or 30s, with brown eyes and slightly wavy brown hair. 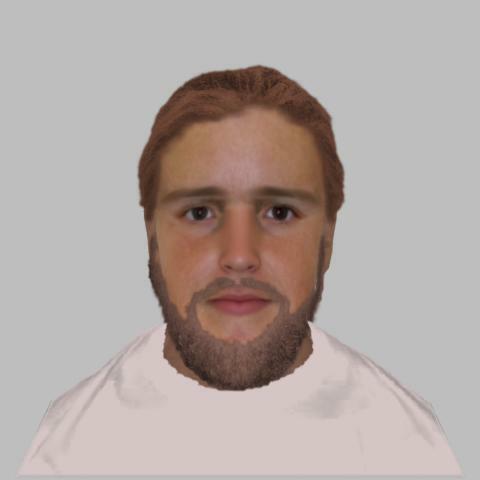 He is thought to be of average height and build and may have had a short brown beard. At the time of the incident, he was wearing black shorts and a black short-sleeved T-shirt with writing in one corner. The second incident on March 20 took place on King’s Road at around 4.45pm when a girl saw a man jogging towards her, exposing himself. He then crossed the road and got into a white van with blue writing on the side. The third incident took place on Saturday, March 30 at around 12.20 on Ditton Hill Road, Long Ditton with the same description of the offender as above. Elmbridge Borough Commander, Inspector Dallas McDermott, said, “We want to catch this individual as soon as possible, so please call us if you have any information or see anyone jogging in the area who closely matches the description. Fortunately incidents like this are rare, but we want to put a stop to such obscene behaviour as quickly as possible. "The offender has targeted young girls who have all been 15 years of age. My officers from the Specialist Neighbourhood Team are patrolling the area and we also have our Neighbourhood Policing Team conducting unmarked patrols. “I would also ask members of the public, if you have been subjected to an indecent exposure by the same individual, then please report it to us as we take such incidents very seriously and want to ensure that we have the full picture of offending." If you have any information, or you have seen a man or vehicle in the area matching the above descriptions, please contact Surrey Police on 101 (999 in an emergency) or http://surrey.police.uk/TellUsMore , quoting reference PR/45190029389. We know that, if you have been a victim of indecent exposure, you may not wish to report what has happened to you, but we would urge anyone who has been approached in a similar way to report it to us on 101 (999 if a crime is in progress) so that we can identify who is responsible, and also provide you with support.